Jotwell is taking a short winter break. Posting will resume Monday, January 5, 2015. Happy Holidays! Thank you for reading, and for your support. Update: You may need to Login or register before you can vote. Ori J. Herstein, How Tort Law Empowers, 64 U. Toronto L.J.___ (2014) (forthcoming), available at SSRN. Ori Herstein’s How Tort Law Empowers takes on the question of whether and how tort law empowers victims. Herstein presents himself as a friendly critic of civil recourse theory, and offers an amendment that he claims makes the theory both more plausible and less interesting. Like many friendly amendments, it is an offer that must be carefully examined before it is accepted. Herstein begins by noting that one of the most important and interesting contributions by civil recourse theory is the idea that tort law empowers tort victims. This contribution comes from the work of John Goldberg and Ben Zipursky, and has been embraced by others as well, either within tort law or in other parts of private law, such as contract theory (see, for example, the work of Nate Oman and Andrew Gold). Continue reading "Does Tort Law Empower?" Nick Robinson, When Lawyers Don’t Get All the Profits: Non-Lawyer Ownership of Legal Services, Access, and Professionalism (Harv. Law Sch. Prog. Legal Prof., Research Paper No. 2014-20), available at SSRN. To what extent lawyers should control their own profession, determine its rules, and be the arbiters of who should deliver legal services is a question that is increasingly subject to intense scrutiny. More jurisdictions are considering whether to follow the leads of Australia and England and Wales in liberalizing their legal professions. Canada, for example, is one of the most recent. The American legal profession expresses significant concern about non-lawyer ownership of law firms. Both the American Bar Association and the New York State Bar Association have dealt with the issue and will probably continue so to do. Continue reading "The Relevance of Professionalism in a Post-Legal Services Act World"
Lawrence Zelenak, Custom and the Rule of Law in the Administration of the Income Tax, 62 Duke L.J. 829 (2012). In a recent essay, Custom and the Rule of Law in the Administration of the Income Tax, Larry Zelenak examines what he calls “customary deviations,” or “established practice[s] of the tax administrators . . . that deviat[e] from the clear dictates of the Internal Revenue Code.” Even though the IRS makes decisions every day about when not to enforce the tax law, tax scholarship does not typically examine this phenomenon systematically. By focusing on an aspect of IRS nonenforcement, Zelenak shines a much needed light on the topic. The essay, and the topic generally, should garner the attention of tax scholars, as well as scholars of enforcement discretion more generally. Like other administrative agencies as well as prosecutors, the IRS has to make decisions all the time about when not to enforce the tax law. These decisions raise important questions about the legitimacy of different types of decisions not to enforce the tax law. For instance: Is it more or less legitimate for the IRS to decide not to enforce the law through a clear, customary deviation, or through a more opaque policy? If the IRS is somehow curtailed in its ability to use customary deviations, what alternatives might it use and would these be better or worse? By raising questions about customary deviations, Zelenak’s essay provides a jumping off point for a broader examination of tax law nonenforcement. Continue reading "The IRS as Tax Law Nonenforcer"
Jennifer Nou, Sub-Regulating Elections, Sup Ct. Rev. (forthcoming 2014), available at SSRN. What should courts do when bipartisan agencies deadlock on an interpretation of a statute? That conundrum recently arose when the Election Administration Commission (EAC) addressed the meaning of the National Voter Registration Act (NVRA). Specifically, the EAC had to decide whether an Arizona requirement that voter registrants provide proof of their citizenship violated the NVRA, as a refusal to “accept and use” the federal mail-in registration form. The two Democrats on the four-person Commission found that the proof-of-citizenship requirement constituted a refusal to use the federal form while the two Republicans found that it did not. When the federal Court of Appeals reviewed the agency action, the judges seemed to have three options: Defer to the interpretation of the Democratic commissioners; defer to the interpretation of the Republican commissioners; or defer to neither and independently construe the statute. In this context of deadlock, there was no clear justification for deferring to either interpretation. Choosing to defer to one partisan interpretation over the other might subject the court to a Bush v. Gore-like charge of bias. But the decision to independently construe the statute would have had costs as well. It would have denied the court expert guidance in its determination of the meaning of the statute. None of the three options were particularly appealing. In her innovative and illuminating article, Sub-Regulating Elections, Professor Jennifer Nou engages this problem of deadlock in election administration, and suggests a broad, creative solution. The two principal election agencies, the EAC and the Federal Election Commission (FEC), have similar designs in that they both have even numbered commissioners (four for the EAC and six for the FEC) with the two major political parties equally represented. In the current context of political polarization where decisions about the meaning of election statutes often have high stakes, the problem of deadlock has become endemic to election administration. One response would be to change the design of these commissions by making them odd-numbered or eliminating the requirement of partisan balance. But as Nou correctly notes, these design changes are unlikely anytime in the near future. Continue reading "Breaking the Deadlock in Bipartisan Election Administration"
Bill Herman, The Fight Over Digital Rights: The Politics of Copyright and Technology (2013). In The Fight Over Digital Rights, Bill Herman, a professor in the Department of Film and Media Studies at Hunter College, explores the changing landscape of political debate over digital rights management between 1980 and 2012. This is a book about copyright, but it is also a book about political science and legislation. You don’t need to know anything about copyright to read this book and learn new things about how the process by which legislation is formed and amended dramatically affects substantive and procedural rights. Herman’s book is about the rights and opportunities that copyright laws provide. And it traces the shape of those rights and opportunities as the legislative process has been affected by the rise of Internet activism since 1980. Continue reading "The Past and Future of Copyright Politics"
Isabel V. Hull, A Scrap of Paper: Breaking and Making International Law during the Great War (2014). All schoolchildren—even American ones—know that the First World War began with the assassination of Archduke Franz Ferdinand in Sarajevo in June 2014. Not so, according to Isabel V. Hull, a distinguished historian of modern Germany. “The First World War,” she explains, really “began with an international crime: Germany’s violation of Belgian neutrality.” (P. 16.) In her masterful new book, A Scrap of Paper: Breaking and Making International Law during the Great War, Hull retells the history of the First World War as a series of breakings and makings—or remakings—of international law. This is a breathtaking study that may well be the best book ever written about international law in times of war. The “scrap of paper” in Hull’s title refers to Britain’s 1839 treaty promise to defend Belgian neutrality, dismissed in a conversation on August 4, 1914, between German Chancellor Theobald von Bethmann Hollweg and British ambassador Edward Goschen. “[J]ust for a scrap of paper,” Goschen recalled Bethmann saying, “Great Britain was going to make war on a kindred nation who desired nothing better than to be friends with her.” (P. 42.) That scrap of paper—and the system of international law it reflected—mattered to actors at the time and should concern historians today. It was not simply that Germany or the Allies used international law as a post hoc justification for military actions (although, of course, they did that). Rather, Hull says, from beginning to end, “international law was central to how and why the Great War was fought.” (P. x.) Continue reading "The First World War: International Law Mattered More Than You Think"
John F. Preis, How Federal Causes of Action Relate to Rights, Remedies and Jurisdiction, 67 Fla. L. Rev. __ (forthcoming 2015, available at SSRN). “Cause of action” is a ubiquitous phrase in American law. Plaintiffs plead causes of action every day. Justice Scalia admonishes the courts never to infer them from statutory or constitutional rights. Justice Holmes tells us that federal question jurisdiction depends upon them. Justice Brennan scolds us never to conflate them with choice of remedy. But what, precisely, does cause of action mean? And equally important, how does cause of action interact with the concepts of rights, jurisdiction, and remedies? Professor John Preis takes up these questions in his latest article. If you are a consumer of federal courts or procedure scholarship, Preis’ piece is a must read. To be sure, these concepts—cause of action, right, jurisdiction, and remedy—have been the topic of much past scholarship. These past pieces, however, tend to focus on cause of action in just one context, such as how cause of action relates to jurisdiction. Preis puts this myopic focus aside and aims to understand how the federal courts use cause of action across the board, providing both a detailed historical account of the concept and an analytically crisp contemporary treatment. But even if you are not a proceduralist, you need to read Preis’ article for its innovative approach to scholarly writing. While Preis begins his piece in the standard manner (“In part I, I argue X and in part II, I contend Y.”), he ends the piece not by simply imploring the Court to adopt his views. Instead, Preis concludes with mock Supreme Court slip opinions—he even switches to New Century Schoolbook font—that incorporate his positions. Seldom is a piece of scholarship both substantively important and rhetorically novel. Continue reading "Federal Causes of Action and Everything that Follows"
David Plunkett and Timothy Sundell, Dworkin’s Interpretivism and The Pragmatics of Legal Disputes, 19 Legal Theory 242 (2013). Ronald Dworkin famously claimed, in Law’s Empire, that law is an “interpretive concept.” Dworkin’s argument for this claim appealed to a certain type of legal disagreement, what he called “theoretical disagreement.” Theoretical disagreements, he maintained, are genuine disagreements in which parties share the same concept but differ in their application of the concept because they interpret shared practices differently. David Plunkett and Timothy Sundell provide a close examination and illuminating critique of Dworkin’s argument for the claim that law is an interpretive concept in Dworkin’s Interpretivism and the Pragmatics of Legal Disputes. Their focus, however, is on Dworkin’s broader discussion of interpretive concepts in Justice for Hedgehogs (JFH) and his disagreement-based argument for intepretivism. Continue reading "Dworkin’s Interpretive Concepts v. Metalinguistic Negotiations"
Lois L. Shepherd, The End of End-of Life Law, 92 N.C.L. Rev. 1693 (2014). No one is happy these days with how we die in America. In just the past few months, we’ve received reminders of that sad reality. In September 2014, the Institute of Medicine came out with its report Dying in America: Improving Quality and Honoring Individual Preferences Near the End of Life, and in October, Dr. Atul Gawande published Being Mortal: Medicine & What Matters in the End to much acclaim. Each of these works describes our society’s—and in particular the medical care system’s—failure to provide people with meaningful choices and support regarding the care they receive at the end of their lives. While certainly not the only culprit in this woeful state of affairs, the law undeniably plays a significant role in shaping practices surrounding end-of-life choices. The latest article by Lois Shepherd, The End of End-of-Life Law, seeks to reorient how we think about the law’s approach to medical decisions made near the end of life. 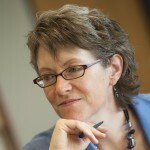 Shepherd has thought and written about dying and the law for years, and in this latest article she argues that the law should approach questions about end-of-life care in the same way it approaches other important medical choices, without “special laws, special burdens of proof, or unique requirements for documentation.” As she points out, decisions made at the end of life are not the only medical decisions that are important and permanent, with potentially irrevocable consequences. The touchstone for all these decisions, according to Shepherd, should be respect and care for patients and their families, and our legal framework should help rather than hinder that focus. Continue reading "Beginning with the End (of End-of-Life Law) in Mind"